Filet mignon at the Ivanhoe. Two very different Italian restaurants are sticking to their traditions, one in a landmark building with classic steaks and pasta dishes, the other with an old-country, farm- to-table menu. 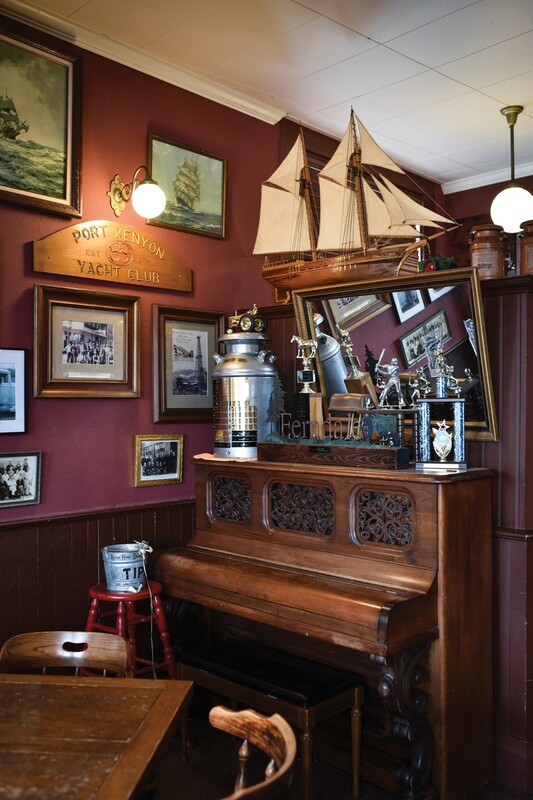 The Hotel Ivanhoe Restaurant and Saloon feels like it's been there forever. 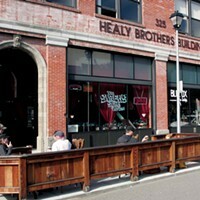 Indeed the building and the redwood bar inside have anchored the end of Ferndale's Main Street since 1875. 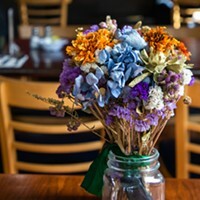 And the restaurant that draws locals in droves for celebrations and homey Thursday night chicken cacciatore and polenta alike has been run by Barb and Dave Mogni for the last 20 years. It's a place locals have come to think of as their own, something Dave says there was a real desire for back in 1997. "We opened on Hospitality Night [near Christmastime]," he recalls. 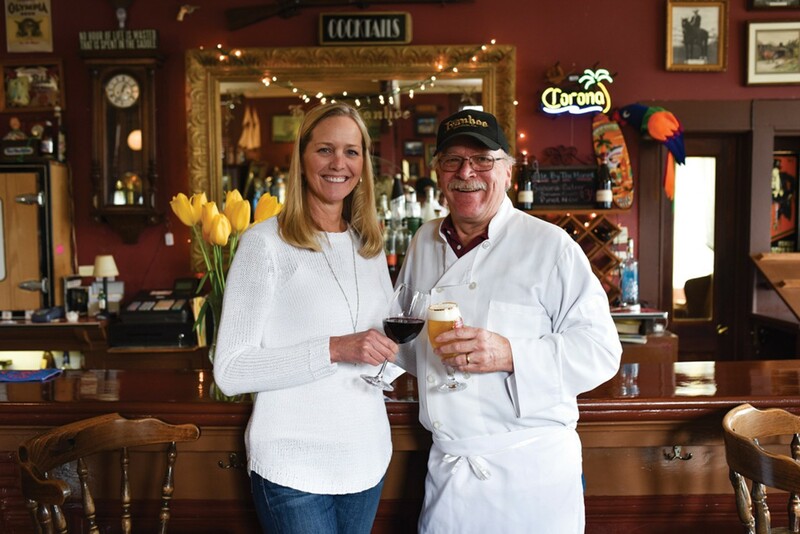 "The dining room wasn't ready so we opened the bar that night ... and by the time we opened 30 people were lined up waiting to come in." 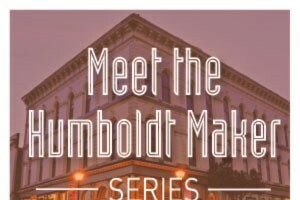 When the couple, who also own the historic Palace Saloon down the street, took over, they worked to restore the building's architectural details to their original glory (it's been rebuilt twice after fires in 1875 and 1944), reopening the hotel upstairs and going back to the name that still hung on the 1940s sign outside. "People asked, what are you going to name the Ivanhoe?" says Dave Mogni. They decided not to fight it. 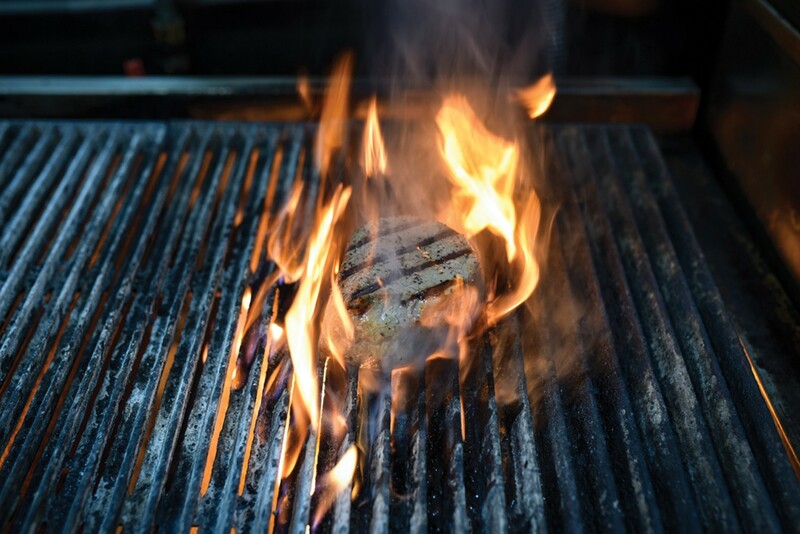 Firing a filet at The Ivanhoe. 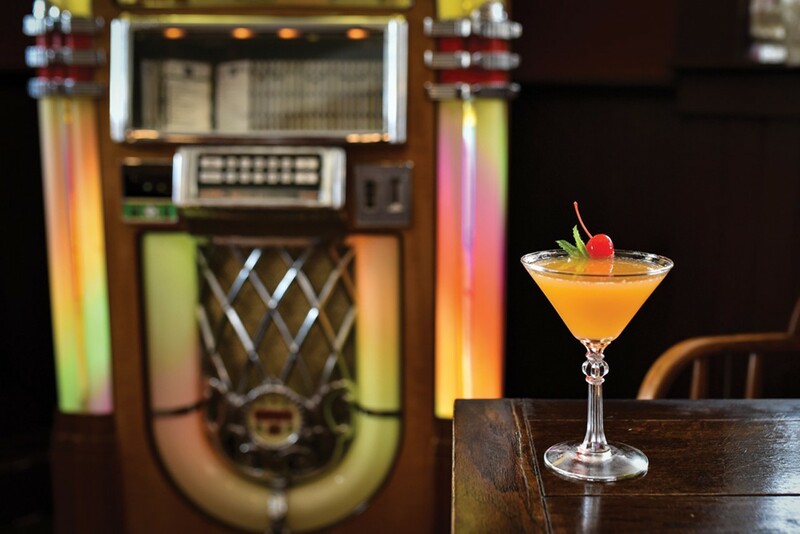 For the true Ivanhoe experience, start with a Manhattan or a mango Martini in the bar, contemplating the bygone characters who have walked those floor planks and playing a tune or two on the restored jukebox ('70s or country, naturally). 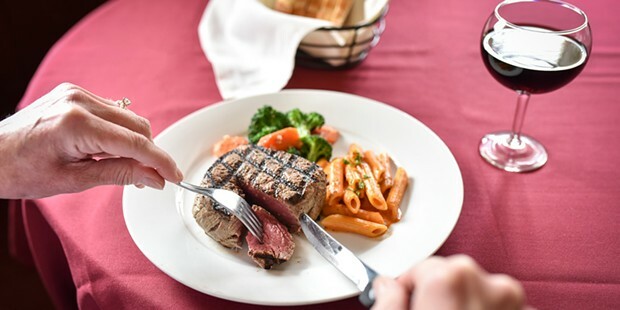 You might want to plan your trip according to the specials, like the aforementioned cacciatore or the Friday and Saturday night prime rib and seafood specials like steelhead, salmon and Petrale sole. 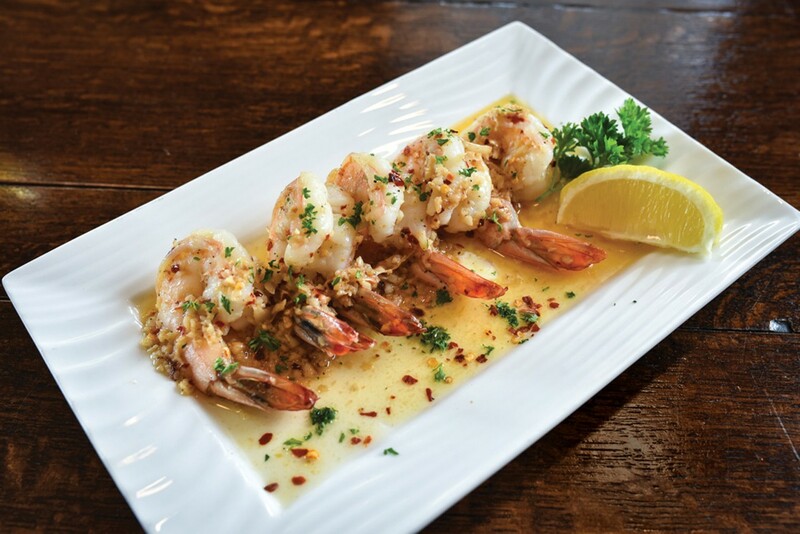 Happily, the jumbo prawns sautéed with garlic and white wine are always on the appetizer menu. And this is beef country, so you can't go wrong with the plump char-grilled filet mignon (8 or 12-ounce). 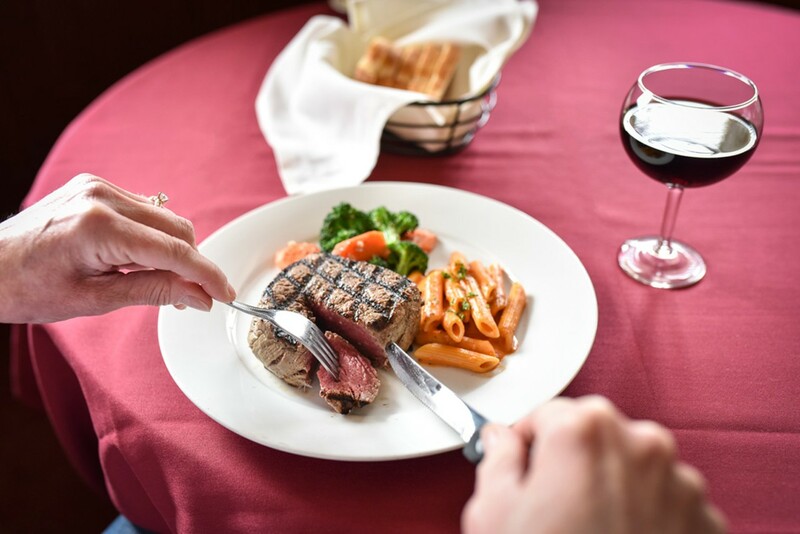 The menu's gentle warning should settle any table discussion about how to order it: "We cannot guarantee steaks cooked well done." 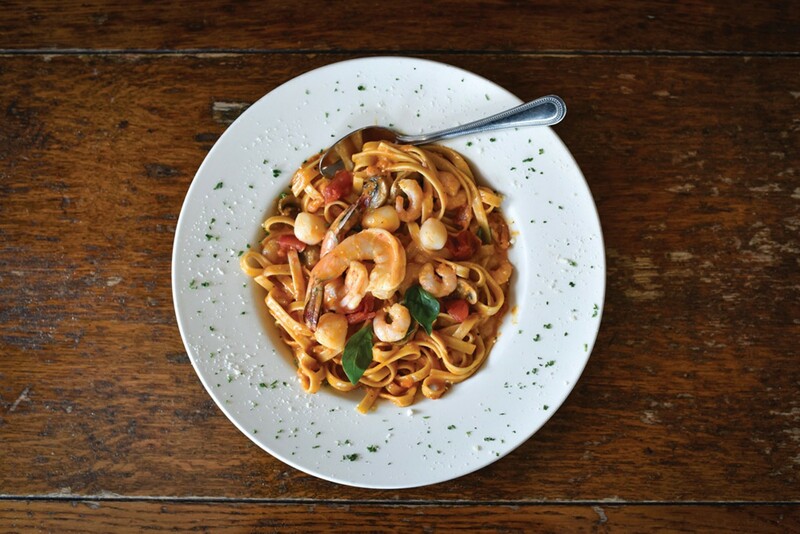 The seafood fettuccine is a founding recipe for the restaurant and a steady favorite among regulars — a tomato cream sauce with scallops, prawns, mushrooms and basil. Those same regulars talk up the homemade chocolate mousse and the crème brûlée, which might be chocolate, strawberry, mango or coconut, depending on the night. As for Dave's favorite? "The vanilla," he says. "I'm traditional." Oriechiette with kale and pecorino at La Trattoria. 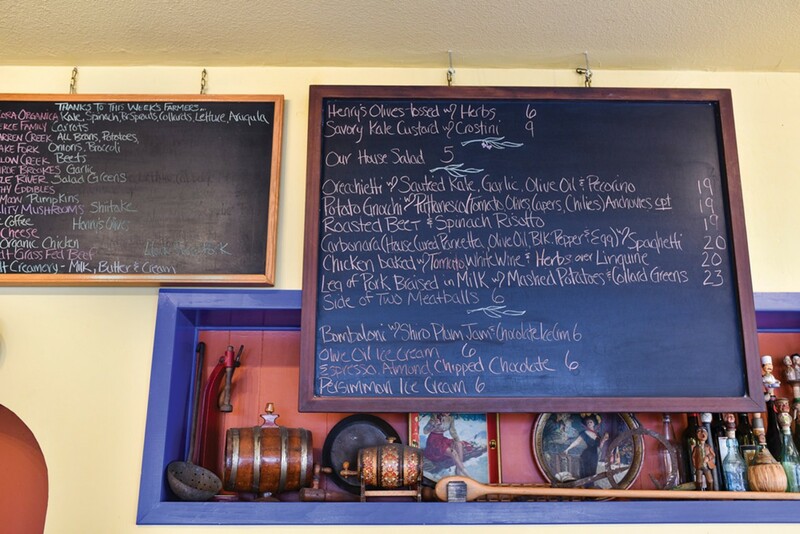 Don't wait for a menu at La Trattoria — just walk straight up to the chalkboard perched on the back wall and see what's available for the night. 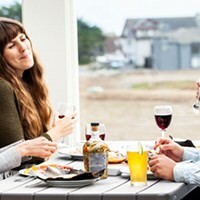 Rest assured, though, there will always be house-made pastas, servings of locally produced Henry's Olives and rustic, home-style Italian dishes based on what organic produce is in season and available from local farms and farmers markets. 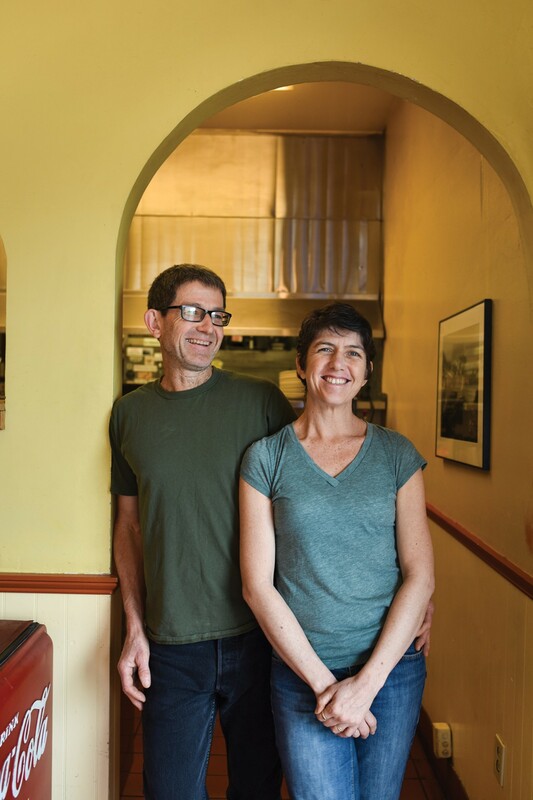 You can also count on pale gold focaccia baked by chef Patricia Cambianica, who owns the restaurant with her husband Jim Becker. 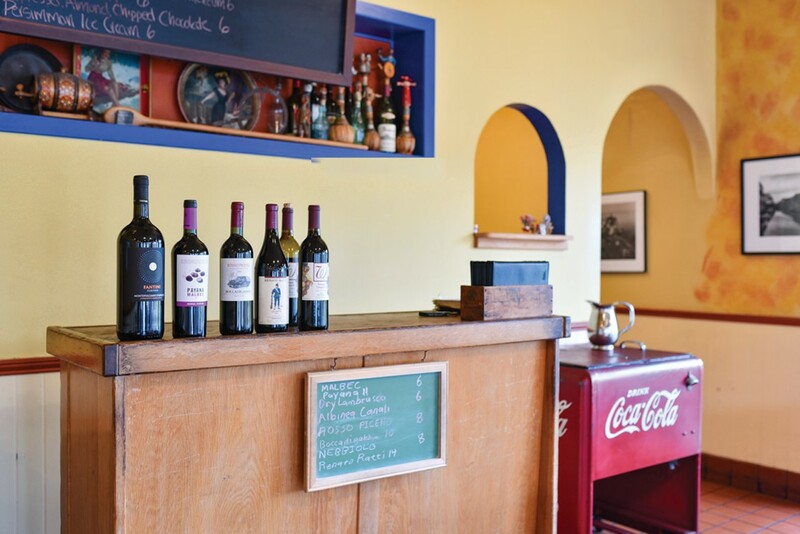 It's a bit of a surprise stepping into La Trattoria from the shopping center parking lot outside. 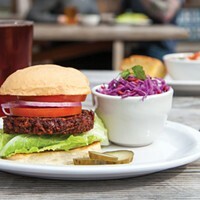 "We've been called a strip mall restaurant," says Becker. But the smell of garlic and warm bread from the kitchen goes a long way to make you forget about that. 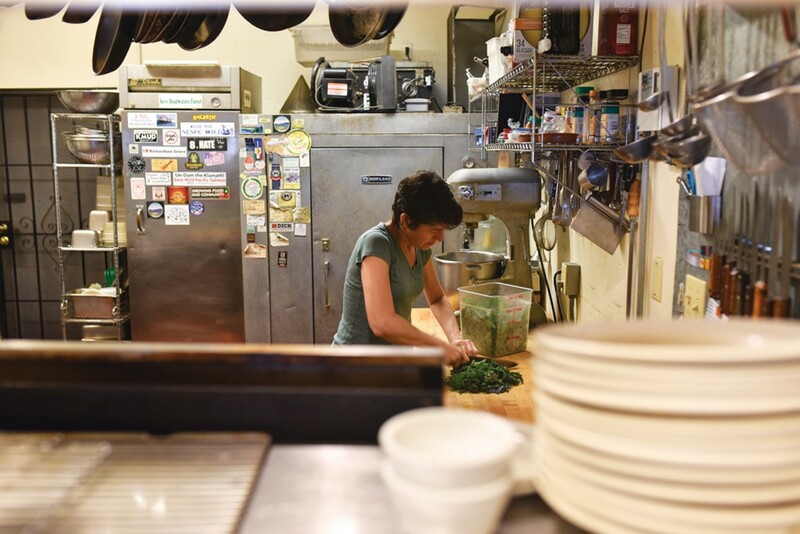 Cambianica comes from a Bay Area restaurant family and brings their recipes, including those of her great aunt in Italy, to the little kitchen in back, where she is the sole chef/line cook, with Becker helping out with prep work. Becker manages the front of the house with two servers. That's it. 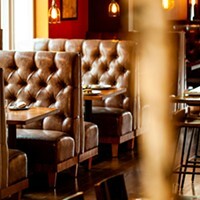 It's a small, intimate operation, with the whole staff sitting down for a meal together at the end of each night. "We have no interest in expanding," says Becker. Nor does a second location or stepping back from the day-to-day tasks appeal to them. "We want to be involved whether in the back or the front," he says. Keeping it small and simple means no parties of more than six people but it's worth it to maintain the quality of the food. 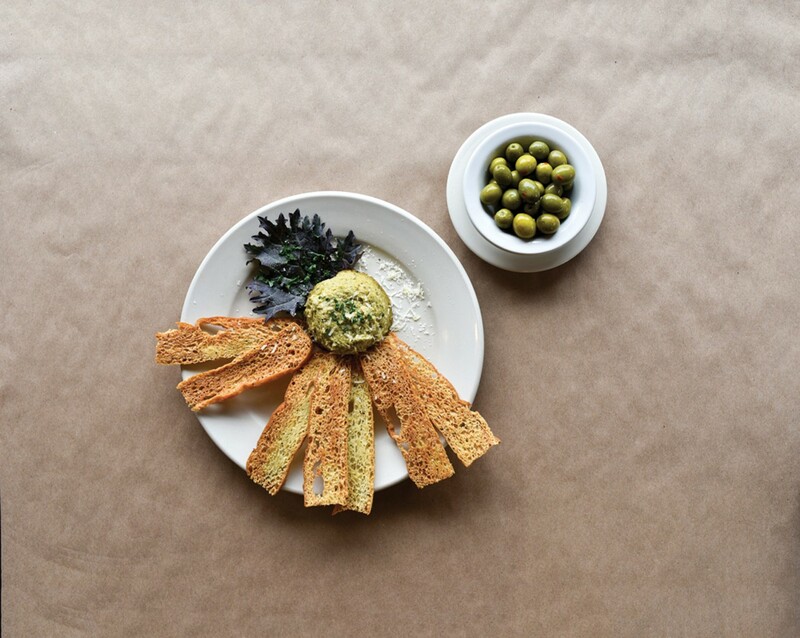 As spring shakes off the cold and stocks the farm stands with greens, Cambianica toasts her focaccia into crostini for an appetizer of savory kale custard. 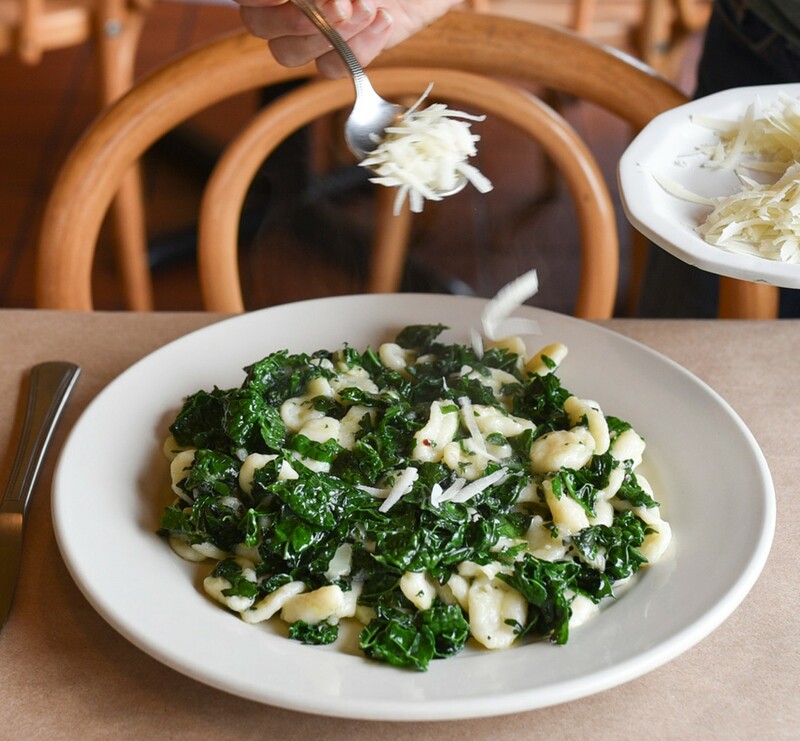 The same kale shows up sautéed with garlic and tossed with handmade orecchiette pasta. 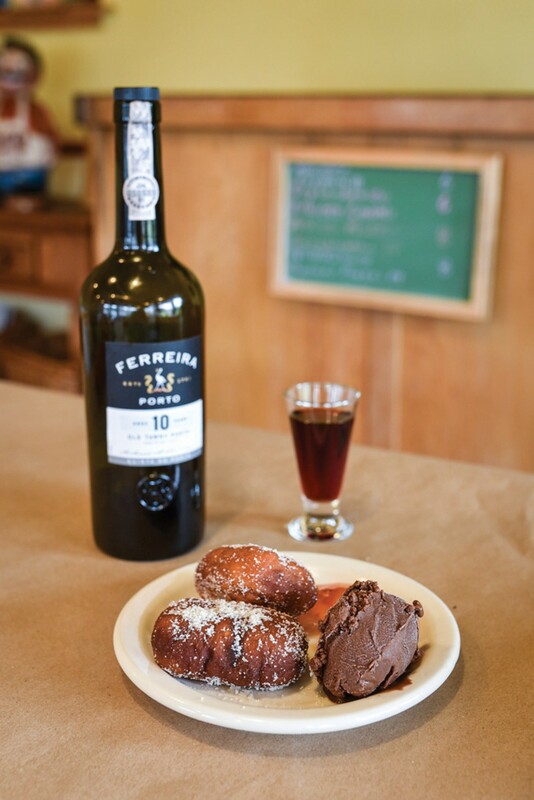 End the evening with a little Port and a dessert of bombolini — sugar dusted Italian doughnuts — served with shiro plum jam and homemade chocolate ice cream. 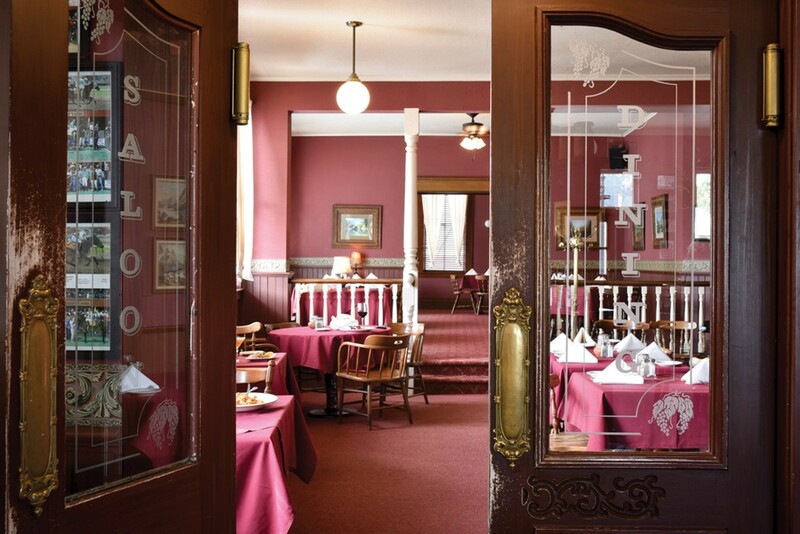 "This style of restaurant is very Italian; it's more basic and rustic home style cooking," says Becker. As the season moves into early summer, expect to see leeks, beans, asparagus and homemade strawberry ice cream. Sometimes the old ways are the best.